So as you may have noticed, I have been quite absent as of late. The new job is just sapping my energy and creativity, and by the time I get home the last thing I want to do is look at another computer screen. I thought by now I’d be on a better track, but I’m not quite there yet. So I thought instead of rambling about the job and the lack of writing, I’d do something a bit more fun and do another movie review. I am now always behind in my tv and movie watching, this never used to be the case…I wanted to write this post over a month ago, and even then I was already behind. As some of you may already know, I am a big fan of Captain America, the character. Chris Evans is absolutely adorable, don’t get me wrong, but I am smitten with the good ol’ American blond boy in general. I like to think of myself as a good person, that I would do the right thing; even in my video game playing I always choose the “right” path (for which The Sis will usually mock me) and something about that quintessential good guy is extremely appealing. The good guy doesn’t necessarily have to finish last – although if Tom Hiddleston’s Loki was standing in front of me (or just Hiddles in general), I might leave Cap in the cold. 😉 I like a big action/blow ’em up type movie, and the surge of comic book movies has been a lot of fun for the movie-going experience, especially with Marvel doing such a good job of mixing their universe. Side note, I’m not going to discuss all the prejudices and politics that have become the main topic of conversation recently in association with these films. That can be for another day. 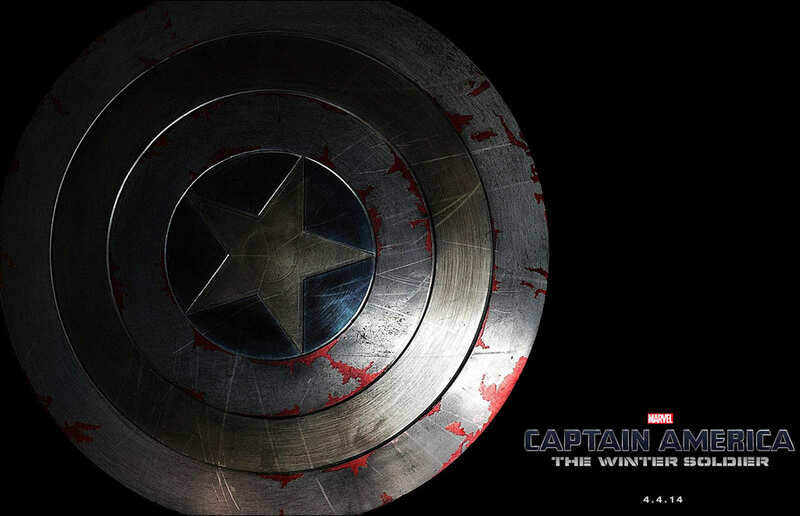 I wanted to see CA2, but when it was being released I wasn’t quite the Cap fan that I am now. I have one friend in particular to thank for turning me on (pun intended) to the world of Captain America. So when I realized how much more I wanted to see this movie, it was already on its way out of theaters and I had to wait for the dvd release – months later. Another reason for my late entry on this subject. I was aware of more of the particulars by the time I finally saw the film, so I felt I understood more going in then I would have before this new interest. And don’t worry I won’t spoil anything for those of you who are behind too. The movie had a more realistic feel, despite the superhero nature. Of course there are some big action sequences and massive destruction, but most of the time, I didn’t feel like I was watching a comic based movie. It is based in the real world and deals with the current political climate and the lengths some people are willing to go to. I like Natasha being a part of the film, as Steve’s friend and partner, without there being that underlying romantic theme. I don’t understand why the majority of movies feel it necessary to put the guy and girl together, regardless of their compatibility, just because. God forbid a man and woman just be friends and work together…side note, she deserves her own movie! We meet Falcon, who, from what I’ve seen in other mediums is a teenager, but is now a war vet. He’s not a superhero, but just a good man who wants to do good and because of his admiration for the Cap joins his fight. I’d like to learn more about him. The title gave me hope that we would see more of The Winter Soldier, which unfortunately was kept to limited, mostly non-verbal scenes. Although the few scenes he does have are poignant and will make you more sympathetic to his plight. There is a whole other post I’d like to dedicate to this character and his relationship to Cap. After watching the film, I was interested more than ever to learn more about Captain America and his story, especially as hints of The Civil War story line continue to spread. Then the move happened, and the new job, and I’m no closer to knowing any more than I was just after watching the movie. My final take on the movie – it’s among one of the best of this genre. I’d say it’s in my top 3; behind The Avengers and Iron Man and no, I have not seen Guardians yet..I know. It doesn’t feel as far fetched as some of the other stories, and I think it resonated more with audiences because of its modern take. Needless to say, I’ve been on the hunt for just the right Captain America shirt and have some comics waiting to be purchased. I bought a reusable water bottle with Cap’s likeness from the comics and it is this new habit, that could be the right word, that got me the job. If you’re interested in some Captain America fanfic, give Archive of Our Own a look. That’s what started all this. « I (Finally) Got a Job?! I saw this movie at a drive-in as a double-header with the Muppets Most Wanted. An odd combo but both entertaining movies. I remember being really impressed by Winter Soldier. So much emotion. And I couldn’t agree more about Natasha and Steve’s relationship. Movies/books/TV shows don’t *have* to have the male and female leads gettin’ romantic. I want to watch this again, and I probably should have before I wrote the review. 😉 I still want to see Muppets Most Wanted too, I heard it’s adorable.